Antique Russian Faberge frame by Michael Perchin with ivory painting. 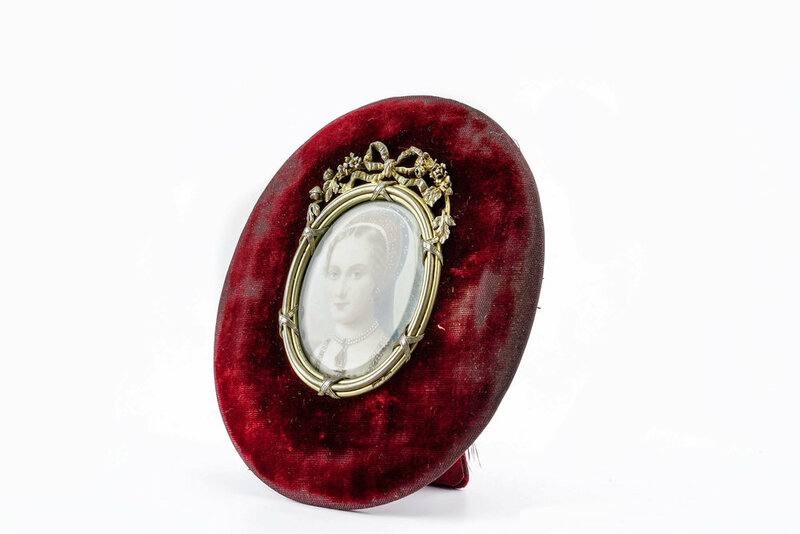 A beautiful antique Russian Faberge frame by Michael Perchin with ivory painting. Height is 4.25 inches. Length is 3.75 inches.